I remember as a child, when my mother would go to the local technical school to get her hair done by cosmetology students. She would return home with a hair style that almost never made her happy, and she would say… “Well, what can you expect from a student? 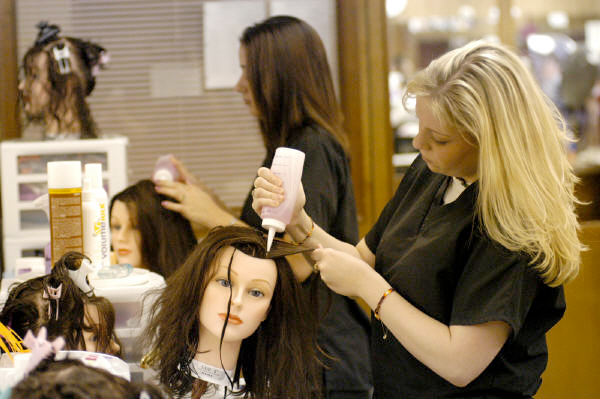 At least I saved $20.00.” After several visits to the technical school, my mother learned to save her money and go to a professional salon. From then on, she always came home with a smile. As the owner of Costa Rica Dental Guide, I was surprised recently to read an email from a patient that was scheduled to come to Costa Rica for dental care, but instead decided to receive critical, complex dental care from a dental school student in the USA. What could possibly cause a patient to choose a student over a qualified professional? Then, I remembered my mother. We have a team of dental professionals that help guide patients to making the best decisions for their dental care. One of our resident dentists worked in three different dental schools in California, New York and Texas during his long career. His experience was that dental school professors, students and residents often told patients what they wanted to hear, so that they could practice their dental skills and perhaps test new products on cash-strapped patients. In a recent conversation, he recalled conversations where patients were promised quick, quality work by a single student…only to have the procedures take much longer, with increased discomfort and not less than 4-6 students participating in the procedure. Many times, patients in desperate need of dental care will choose to receive care at a dental school, only to discover that they have lost a great deal of time, and endured unnecessary pain to save a few dollars. A whopping 80% of patients that start extensive dental treatments through a dental school never finish because of the many delays, painful mistakes and frustrations dealing with inexperienced students. One patient required more than 30 appointments for dental care with a dental school in the USA, taking more than 24 months to complete all of the work. This patient instead chose to come to Costa Rica to receive her dental care, which took less than 2 weeks and cost almost the same as the dental school in the USA. Additionally, no dental school will provide a guarantee. If they make a mistake, you have to sign a waiver that the school and the dental student are not liable. In Costa Rica, our approved clinics offer a minimum 10 year guarantee to ensure complete patient confidence. If you have a need for complex dental care, why would you entrust the care of your mouth and teeth to students or research facilities using untested and potentially unsafe products? Why take unnecessary risks with your health, when you can visit Costa Rica and work with a leading dental clinic that uses ADA approved materials and has hundreds…perhaps thousands of satisfied patients? Every day, savvy American and Canadian patients choose Costa Rica to receive world-class dental implants, dental surgery and full mouth reconstructions. When you choose one of our approved and certified clinics, you will receive a minimum 10 year guarantee on all of your dental work. Saving money is important. We get it. But saving money on poor quality dental care is not only a bad deal, it’s dangerous. Please fill out the form on this page and one of our dental specialists will contact you to discuss your case…to help you save money and get the best possible dental care in Costa Rica.